Hana Chaudhury, Comm’18, is among six Queen’s students chosen to receive Tricolour Awards. 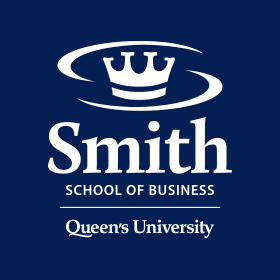 Kingston, ON – A Smith School of Business student has been named a recipient of the Agnes Benidickson Tricolour Award, one of the highest honours a student can get from Queen’s University. Hana Chaudhury, Comm’18, is among six Queen’s students chosen for the award. Hana has a long list of activities and roles advocating for students, in particular for women and racialized students on campus, including serving on the Principal’s Implementation Committee on Racism, Diversity and Inclusion, Queen’s Female Leadership in Politics and Queen’s International Affairs Association. The other award recipients are: Emilio Frometa, MIR’18, Max Garcia, Cmp’17, Asha Gordon, Artsci’18, Adam Grotsky, Artsci’16, Law’19, and Alexandra Palmeri, NSc’18. The Tricolour Award has a long history at Queen’s. It was first handed out in 1940, and one of those original recipients was John Matheson, BA’40, DSA’77, LLD’84, who went on to serve in Ottawa as a Member of Parliament. In 1967, he helped create Canada's highest civilian honour, the Order of Canada, which he said he based on the Tricolour Society. Other notable past Tricolour Award recipients include: Dragons’ Den TV star Michele Romanow, MBA’08, Sc’07, author and Globe and Mail columnist Jeffrey Simpson, Arts’71, LLD’05, Emmy Award-winning filmmaker Peter Raymont, Arts’72, and former Bank of Canada Governor and Queen's Chancellor Emeritus David Dodge, Arts'65, LLD'02. This year’s recipients will be honoured at a ceremony on April 7 at Grant Hall.